Sri Lanka captain Dinesh Chandimal will miss the third and final test against West Indies after his appeal against a ball-tampering ban was dismissed by a judicial commissioner. The 28-year-old was charged with ball-tampering during last week's St Lucia test after video evidence indicated he took sweets out of his pocket and put them in his mouth before applying saliva to the ball within the space of a few seconds. 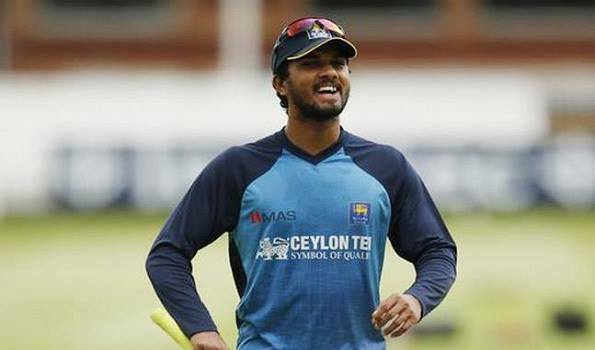 "Judicial Commissioner... has dismissed Dinesh Chandimal's appeal after the Sri Lanka captain was found guilty of changing the condition of the ball..." the International Cricket Council (ICC) said in a statement after a hearing into the case. "Accordingly, the original decision of the ICC Match Referee Mr Javagal Srinath, handing Chandimal the maximum punishment available under the code... will stand." Judicial Commissioner Michael Beloff will hold another hearing on July 10 to determine sanctions against Chandimal, coach Chandika Hathurusinghe and manager Asanka Gurusinha for "conduct that is contrary to the spirit of the game". ICC chief executive David Richardson brought level three charges against the trio for their involvement in Sri Lanka's refusal to take to the field in St Lucia in protest of the accusations causing a two-hour delay to the start of play. The Sri Lankans have admitted to the breach.The Kensington Oval in Bridgetown will host the first day-night test in the Caribbean on Saturday with the hosts 1-0 up in the series.